I recently met up with a good friend visiting from San Francisco. We covered all the usual topics—work, travel, mutual friends—and then she mentioned that she finally got around to buying a new kitchen table. It was the Verona from World Market, and she was a big fan. World Market what? There aren’t any retail locations in New York, and I only knew them through online ad imagery that, quite honestly, conjured bad Pier I Import flashbacks. I trust this friend’s judgment, as well as her low tackiness threshold, so I decided to conduct some online investigation of my own. From what I can tell, they offer some pretty stylish pieces, and at absurdly low prices. So low, in fact, that I can’t imagine being heartbroken were I to order something and what arrived turned out to be only so-so. Here are some pieces that caught my eye. 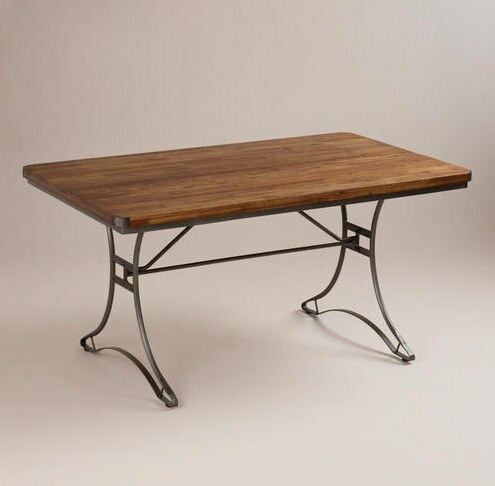 The Jackson Dining table, with metal legs and a solid wood top, is quite a steal at $329.99. 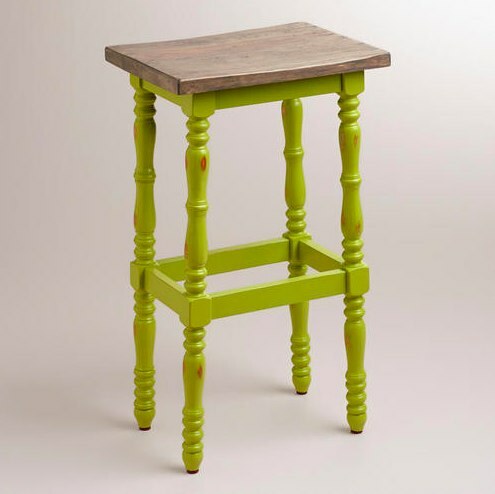 I imagine this Lime Penelope Spindle Stool looking quite at home in a bathroom, where it could function as a perching spot for towels, candles or books. $89. 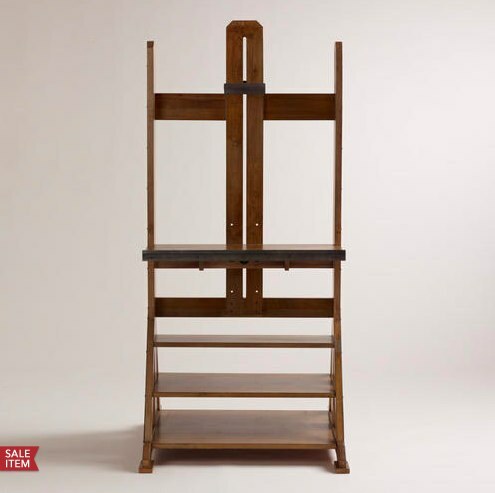 Frame your flat screen and hardbacks with this crafty Easel Media Stand. $179.99. 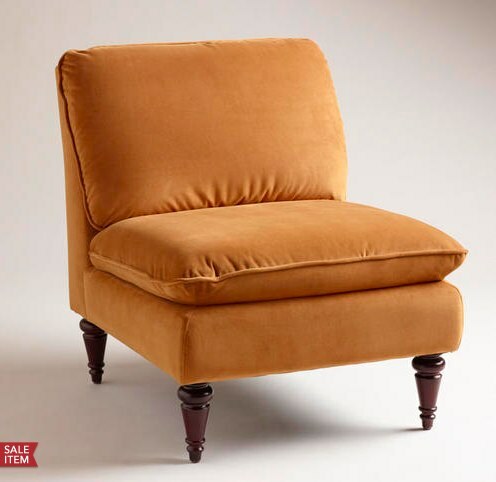 With shapely turned legs and soft upholstery, the Ravenna Chair has the makings of a beloved bedroom or entryway chair. On sale for just $139.98. 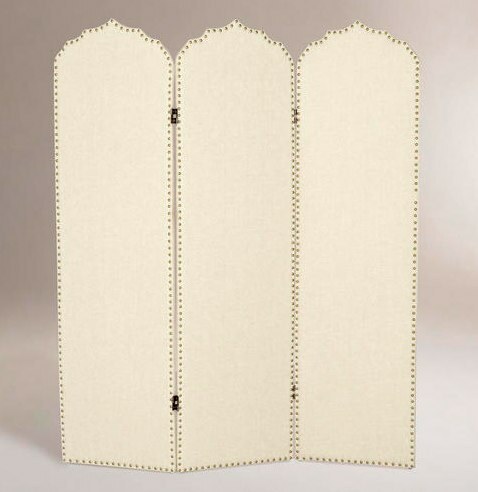 The nailhead detailing and muted upholstery on the Hara Screen would add polish to any space in need of some dividing. $199. 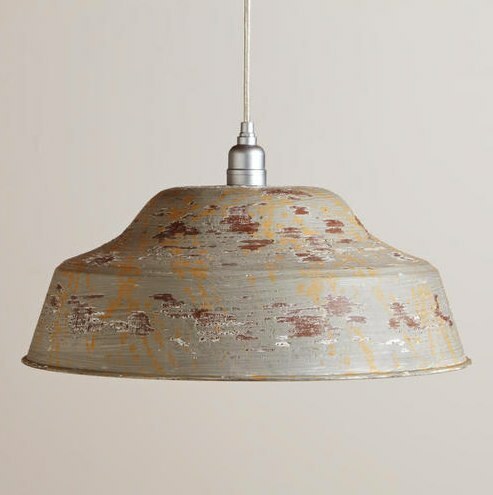 This Distressed Gray Metal Pendant is perfect above a kitchen table or island. $89.99. 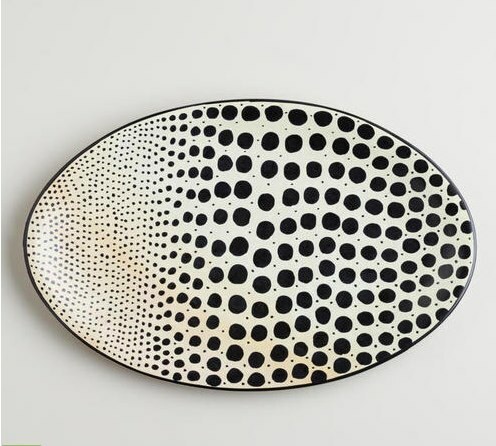 Made in Kenya, the Black + White Soapstone Platter would make a great catchall for keys and mail. $19.99. 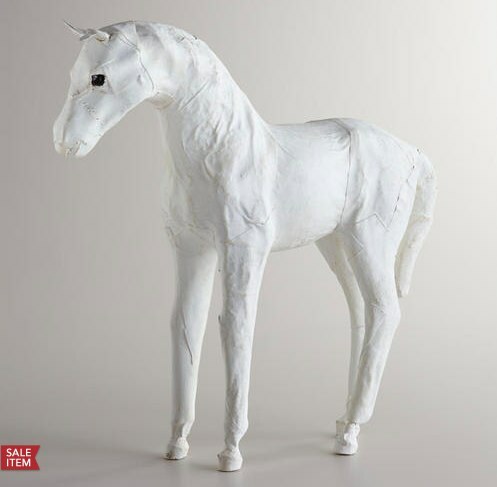 I want this White Canvas Horse. I have no idea what for, but I do. $29.99.